for $769,500 with 4 bedrooms and 2 full baths, 1 half bath. This 2,646 square foot home was built in 2000 on a lot size of 0.1300 Acre(s). Enjoy a COUNTRY CLUB LIFESTYLE in the Valimar community...Heated Pool, Clubhouse & Playground. Stunning 4 Bedroom 2.1 Bath Colonial-Style Home on Quiet Cul-De-Sac offers a Dramatic 2-Story Entry, Formal Dining & Living Room. Gourmet Kitchen w/ Tall Maple Cabinets, Stainless Steel Appl. & Breakfast Area. Grand Family Room incl Vaulted Ceiling, Marble Fireplace & X-Tra Lg Sun-filled Windows! Private Library/Office Master Bedroom Suite offers Sitting Area + Limestone MBth w/Jacuzzi! LOWER LEVEL ~1000 sf of Wonderful Entertaining Space! UPGRADES; Oak Floors thru out! Crown Moldings, Designer Closets, Central Vac, Bathroom Heat Lamps, Cedar Closet, Alarm & Inground Sprinklers. Flagstone Walkway, Expansive Patio & Professionally Landscaped Fenced-in Yard make this Home....PERFECT FOR ENTERTAINING!! 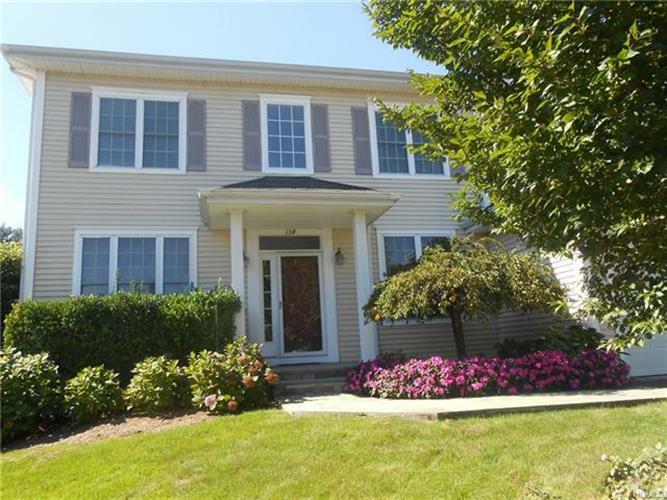 Taxes w/Basic Star $26, 125 RR: 33 min to NYC, Convenient to all Major Shopping/Highways. BLUE RIBBON VALHALLA SCHOOLS!